Whether you’re on your way home after a few drinks, you’ve been working late and missed dinner, or you just really fancy some late-night (or very-early-morning food), here are London’s best 24-hour restaurants. This 24-hour café and diner (locations in Chelsea and Bloomsbury) makes dodgy kebabs a thing of the past. The night menu (served 11pm – 7am) features classics such as a full English breakfast, Bubble and Squeak, or a club sandwich. Or make your own Omelette, choosing from a variety of fillings including goat’s cheese, spinach, red pepper and bacon. 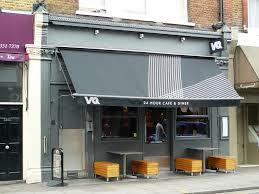 Vingt Quatre also has a 24-hour alcohol licence. Just saying. Sometimes, you just need a late-night carb fix you can eat on the move. 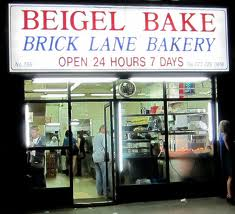 This Brick Lane bakery, established in 1974, serves up deliciously fresh bagels 24/7. Try the traditional smoked salmon and cream cheese, or the salt beef with hot American mustard. You can buy packs of plain bagels to take away, too – that’s brunch sorted for tomorrow. This all-day brasserie is part of the Ace Hotel (of NY Midtown fame), offering up breakfast, brunch, lunch, dinner, and supper. Find it on Shoreditch High Street, where the entrance is via a flower shop. The menu is seasonal modern British, with dishes such as lemon sole, clams and sea vegetables. 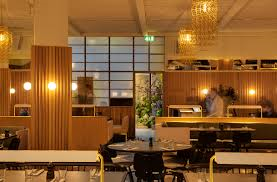 Hoi Polloi serves up some inventive late night vegetarian suppers, too: think roasted heritage carrots, soy yoghurt, lentils and sumac. For a Sunday morning pick-me-up, the Dizzy Dolly brunch cocktail, made with orange, gin, Prosecco and Aperol, sounds just the tonic. This pizza joint on Kingsland High Street bakes giant 22” New York-style pizzas and serves them by the slice to the hipsters of Dalston. Order via an open kitchen counter and take a pew at the shared benches. The bases are made using authentic Italian Caputo flour and inventive toppings include the King Tubby: Fennel and chilli sausage, marinated tomatoes, caramelised onions, mozzarella and tomato sauce. Or try the Full Moon Slice (only available after midnight): Bacon dust, marinated tomatoes, mozzarella, and Japanese mayonnaise. Open until midnight during the week, and 3am on Fridays and Saturdays, Voodoo Ray’s will keep pizza cravings at bay after a few craft beers or artisan cocktails.